Been trying to figure out forever if it could be done. This would be a highly appreciated feature. Anteworld is already like a flight sim to me (all that's missing are clouds), but not being able to look around with POV switches just ruins it. So I really hope to see this in the future. What do you mean that they are recognized as one button? We've got a couple of joysticks here, but the POV is detected as left/right/up/down. They currently aren't used in cockpits, but they work in ufo when bound to the look* actions. I guess it should not be a problem to make the movement's look actions work in cockpits/cabs as well. In Microsoft flight for instance. the left Joy-pad controller behaves almost the same as a mouse, allowing you to look around easily in every direction without having to take your hands off of the pad. I was wondering about what he wrote - that the engine recognizes the POV switches as one button. When you try to bind the hat buttons in the movement tab to look left/right/up/down actions, what do you get? We're getting individual hat buttons bound there. should the POV hat pan the camera view, or just to switch to fixed angles, or both/configurable? how it should relate to the HUD? Panning would probably be best for aircrafts, as it gives you a little more freedom. A center button would be great too so you can go back to looking straight forward with just a press of a button. Also nice would be: right mouse button for movement in Ufo mode. In older versions it was possible to map but it doesn't work anymore since quite a while. Sorry I mis-typed. 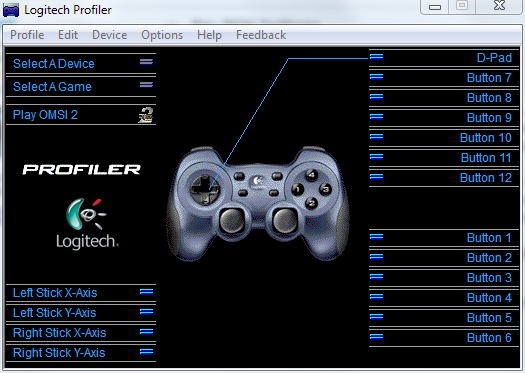 In Flight, the left controller control serves as the joystick, and the right controller controls view, much the same as the current mouse controller does in Outerra. Saves having to reach for the mouse to look around. There will be a handful of parameters in cfg for controlling the speeds and filter coefficients of these, probably won't have their own UI settings to avoid clutter (except for the HUD units), but they should be adjustable at run time via the console. 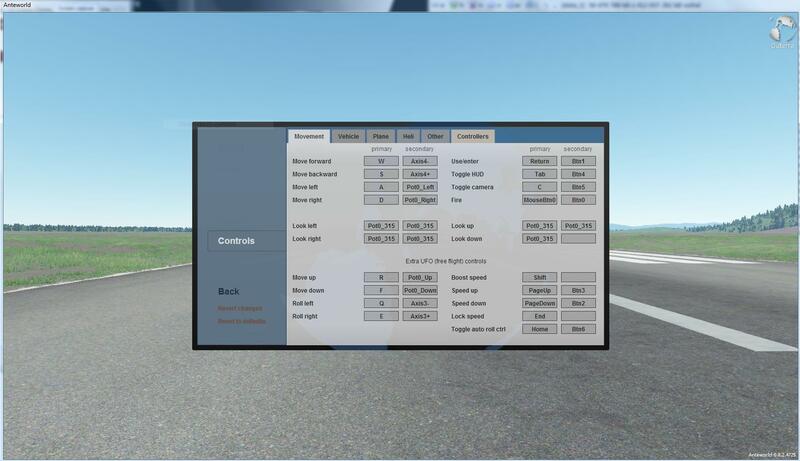 Most games recognize it as 4 different buttons (for example Euro Truck Simulator 2), and for example in FSX, it is automatically assigned to pan the camera. And that's exactly what I would like to do with aircrafts in outerra. To bind is as Look up/down/left/right. Hmm, that's odd. Can you set enable_hid_logging=true in eng.cfg and run outerra, going into the config and trying to bind the individual buttons? Then send us the eng.log - it should contain info about what's wrong with the reported buttons from the joystick.